My van's engine seems to choke up and shut off when I put it into gear from park. I can turn the key and she will turn over but as soon I take it out of park (into any position, drive, reverse, etc.) It stalls or something, the engine just cuts off. But if I put it directly into neutral with my foot on the gas to keep the RPM's up higher than idle the engine will not cut off until I let the RPM's drop again. From my limited knowledge of cars and the research I have done (including on this site) I want to say it is a fuel pump problem. However, I would like a professional's opinion before I start unscrewing nuts and bolts all willy-nilly. Please advise! If once you get it moving down the road and it runs and drives okay, it is not a fuel pump or filter problem. I would look at the idle air control (IAC). This little unit is supposed to compensate for added engine load ie. in gear, AC, headlights etc. It may just have to be removed and cleaned with regular carburetor cleaner. I removed, cleaned, and reinstalled the idle air control (IAC) and the problem is unchanged. Is it possible or likely that it needs to be replaced all together or might it be something else? I used the OBD system (i.E. Turning the key ON OFF, ON OFF, ON and wait for the flashes) and got flashes 1, 2, 5, 5. According to my Haynes Repair Manual that MIL Code equates to codes 12* which is the battery disconnect within the last 50 key-on cycles (which I knew) and the other 55* description says "Completion of fault code display on Check Engine lamp." Which I have no clue of the meaning. I am at the end of my rope here and really annoyed and need a working car! Please suggest anything you can think of that I should check. Anything that even might be a problem that fits this issue. I have an exact problem with my 2000 Grand Caravan 3.3. There is no check engine light on. Have you figure it out? 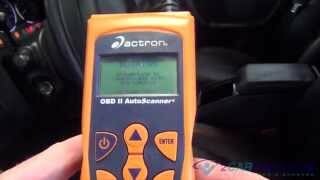 Check your fuel pump pressure first and scan the engine for codes. It should be 49 psi with just the key on, but unfortunately you need a scan tool to activate the pump. It cold also be a fuel filter but do not change that until you get the pressure checked. Also check your EVAP purge solenoid to make sure it is not open all the time. Just check and see if you have vacuum going through both sides at idle. If you do it needs to be replaced but you should have a code for that. Did you ever figure this issue out five years ago, haha. I am having the extract same issue on a 1997 Dodge Grand Caravan 3.3 140,000 miles. Regardless that this post is many years old, you need to start a new question. This was a conversation between the people here. None of the other experts are going to see your addition or have a chance to reply. That does you a disservice. Thank you for including the engine size. Too many people fail to do that when they have engine running problems. To answer your question, this problem has an extremely easy fix that was never addressed here. The original post mentioned the fuel pump. Logic dictates it has to be working if the engine runs at any time. The next point of confusion is one I have never encountered until now. That is the fault codes. Two-digit codes are used on 1995 and older models. All cars sold in the U.S. 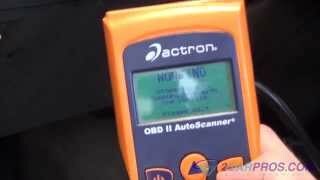 Starting with 1996 models use the "On-board diagnostics, version 2", (OBD2) emissions system. One of the characteristics of that system is it uses three-digit fault codes. On the older system, code 12 just means power was lost to the Engine Computer. Most commonly that is because the battery was disconnected. Since that has no adverse effect on emissions, it will not turn on the Check Engine light. Code 55 means the system is done displaying fault codes. I have never heard of someone not understanding what that means. You have a 1997 model, and with that system, three-digit codes are used. Chrysler still makes reading them yourself much easier than any other manufacturer. If you do not know how to do that, I can describe it. The glaring clue to this problem is the need to hold the accelerator pedal down 1/4". It may be necessary to do that to get the engine to start. Also, you will not get the nice idle flare-up to 1,500 rpm at start-up, and it will tend to stall at stop signs. All of this is caused by the Engine Computer losing its memory when the battery is disconnected or is run dead. Fuel trim data and other operating parameters will be rebuilt as soon as you start driving again, except for "minimum throttle". The symptoms related to stalling are due to idle speed being too low. The computer has to relearn minimum throttle before it will know when it has to be in control of idle speed. The conditions that must be met for the relearn to take place are real involved, so I hope you're sitting down! Drive at highway speed with the engine warmed up, then coast for at least seven seconds without touching the pedals. Thanks for the information and advice! I found a fix for my specific idle issue. I disconnected the brake booster vacuum hose, ran the engine and switched gears to cycle the idle air motor (be careful not to hit the gas because you will not have brakes to stop!). Then I reconnected everything and it appears to be idling good again, it must of reset or relearned the computer settings. I do not know what that did, but it sounds more complicated than it needs to be. The Engine Computer needs to know when your foot is off the accelerator pedal, then it takes a voltage reading from the throttle position sensor and puts that in memory. That is the minimum throttle voltage it needs to see from then on. It will adjust idle speed whenever it sees that voltage. The first step in knowing when to take the reading is it needs to see higher-than-normal intake manifold vacuum. That will occur if you snap the throttle open and quickly release it, but there is no guarantee you released it fully. That high vacuum would only last for two or three seconds. Coasting from highway speed is the only way to make that vacuum stay high for seven seconds. Pressing the brake pedal will cancel the relearn procedure, and pressing the accelerator pedal will cause the TPS voltage to vary. That will tell the computer your foot is still on the pedal, and it should ignore the relearn request. No two sensors are ever exactly alike. When the TPS is replaced, if the signal voltage at idle is lower than that of the old sensor, the new, lower voltage will immediately be put in memory. If the voltage at idle is higher than before, the computer will assume you're holding the accelerator pedal down a little. It will learn the new value the next time you coast for seven seconds. For most people, the seven-second coast procedure is a normal part of daily driving, so idle speed problems aren't a concern. More problems are caused when people start blindly replacing multiple parts that need to be learned by the Engine Computer. It does that by comparing the characteristics of a single new part to those of other sensors and operating conditions. Replacing numerous parts at the same time can confuse the process. Idle speed can also be too high. Most of the time that is due to a vacuum leak, but it can also be caused by the computer reacting to an incorrect sensor signal. For example, a coolant temperature sensor that is reporting a temperature that is too low will cause a high idle speed. You need a scanner to view live data to see what is happening. The computer places the automatic idle speed motor to one of 256 "steps". Each step rotates the armature a small amount, and that retracts the pintle valve to expose more of the air passage around the throttle blade. For a properly-running engine, step 32 is typical. With a single-cylinder misfire on a V-8 engine, step 50 is about what can be expected to bring idle speed back to where it should be. The AIS motor has enough control to maintain desired idle speed with six cylinders disabled on a V-8 engine. When idle speed is wrong, you need to know the step the computer has placed the AIS motor at. If it is "0", minimum throttle has not been relearned yet. If the step is real low but idle speed is too high, the computer is trying to bring it down, but without success. If the step is very high, the computer is trying to overcome the result of whatever is causing the speed to be too low. Previously, van was hard starting but starts after two to three attempts, drives smooth when running. Five days ago while driving, it stalled, will not start, but after seven to ten minutes, started again. Drove it and ran smoothly for 3kms, then stalled again. Again hard starting, and started again after a while, and was able to smoothly drove it home without stalling. Did not use it the rest of the day. Next day, it started with one click, left it idling, but engine shut off by itself after about ten minutes. Did not start again after. Just like with my previous experience with my 1998 Neon, which was exactly the same, (which I successfully fixed the problem by replacing crankshaft and camshaft position sensor), I did the same approach with this van, but still did not work. Cam Position Sensor A circuit Bank 1 or Single Sensor. I would highly appreciate any suggestion. You can get this code by a timing belt or chain that has jumper one tooth and it with give you this code. This condition will be present with low compression. Let's follow this guide to confirm the issue. Many thanks for your message and sorry for this delayed reply. Thank God, I was able to fixed the problem when I re- inserted the camshaft position sensor. I noticed that I did not set it in properly the first time. Right after I did this, I cranked the engine, it started with just one click and ran smoothly all the way! Thanks for the link you shared, I will keep it in my files for future reference. Nice work! Use 2CarPros anytime, we are here to help. Please tell a friend. Today my car started stalling out at stops. Then the engine light came on. 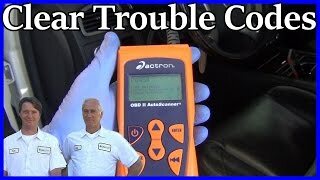 Before going through an expensive diagnostic which would cost me $100.00 plus repair costs, I would like to have a general idea what I may be dealing with. With the ignition switch in the OFF position, depress the TRIP and RESET buttons. While holding the TRIP and RESET button turn the ignition switch to the ON position. Continue to hold the TRIP and RESET buttons until the word CODE appears in the odometer windows (about five seconds ) then release the buttons. 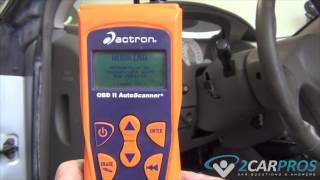 If a problem exists, the system will display Diagnostic Trouble Codes (DTC's). If no problem exists, the code 999 (End Test) will momentarily appear. Post all codes that display. Will tell you what they are. Thanks! I did the test and got the codes. They are 14 and 41. I looked them up and am presently attempting to verify the problem. Looks like the MAP sensor and alternator field control circuit open or shorted. I do not know if they are connected, but both came on at same time. Fix the alternator first, if the voltage to the PCM is low, it can give other erroneous codes, but check all fuses in the cab and under the hood, and check the PCM connectors for bent or pushed out pins, field control is thru the PCM, so check the connectors and PCM grounds. The codes you are giving me are for pre 96 models though? What engine size in liters does it have? It's on the engine and the V.E.C.I. Label (white) pasted under the hood. It's a 3.0 litre engine. I am dropping it off to a mechanic tonight to get the alternator replaced. Will see then what happens. Your answers were very helpful. Thank you so much. Kinda sounds like a problem with the power booster that is robbong too much vacuum from the engine. At the very least check for vacuum leaks.